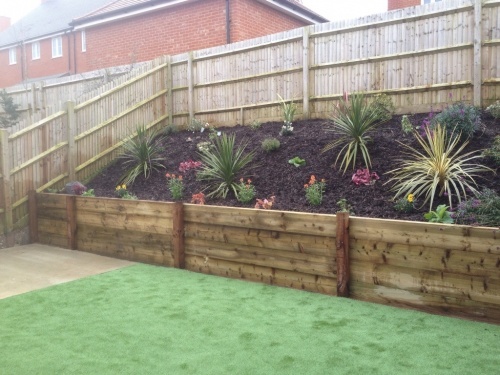 Once the hard landscaping is in place, you can soften the lines with sleepers. 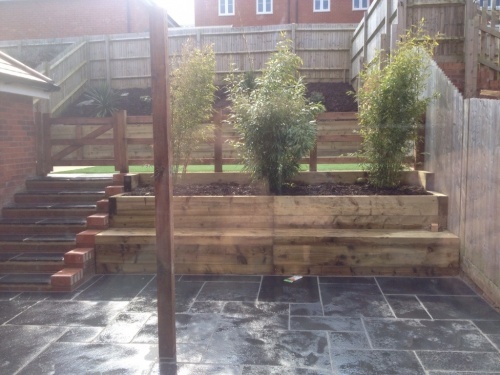 Sleepers help to create a focal point in your garden or show home. They're great for building raised flower beds, vegetable gardens and sandpits for children and can even help to level out a slope. We stock a selection of new and reclaimed oak and treated landscape sleepers. In need of landscaping inspiration? Come and see one of our Landscaping Displays in our branches at Fareham, Ringwood, Romsey, Tadley and Totton which you may find helpful when looking at colours and textures. Displays include paving, decking, fencing, sleepers, grass, decorative finishes and much more. We also offer a bespoke design service, so come and speak to one of our experts today and let us help you build.